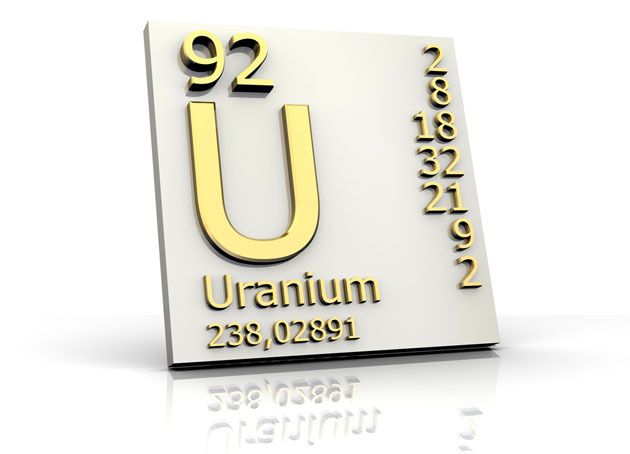 Rob Chang: Is 2013 Catalyst Year for Uranium Market? 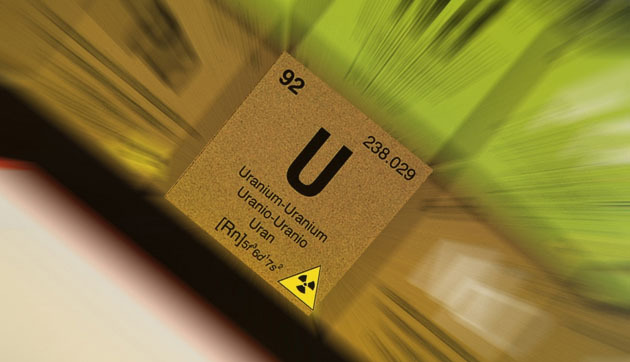 Rob Chang: Is 2013 a Catalyst Year for the Uranium Market? After scraping along what appears to be the market bottom, uranium prices are poised for significant moves this year as the in-place demand exceeds visible supply for the foreseeable future. So says Rob Chang, Equity Analyst at Cantor Fitzgerald Canada in this interview with The Energy Report. Investors stand to make some exciting returns if they know which companies to watch, and Chang names some companies on the verge of big breakthroughs. The Energy Report: During your last interview with us in May, spot uranium was around $51 per pound ($51/lb), with some apparent stability at that level. Now spot is ~$42.50/lb. What's the source of the downward pressure? Rob Chang: The excess inventory that was available for sale, most notably from Japan, has been going back into the market, depressing spot prices. Plus, the general market malaise surrounding the commodity contributed as well. But that has notably changed in recent months. TER: Could a major short-term catalyst move uranium prices higher in the near future, or do you expect a gradual increase over time? RC: This is the year the well-publicized U.S.-Russian HEU (highly enriched uranium) agreement, or Megatons to Megawatts program, is due to expire. Those 24 million pounds (Mlb) that were available to the market will effectively disappear. The question remains as to what the Russians will do with the remaining material. Our sources and thinking suggest the Russians are probably going to stockpile this material. It's not very cost-effective for them to downblend it, given the low uranium price environment. On top of that, it's a security-of-supply issue. We're forecasting a supply deficit up to 2025, and believe the Russians see the same thing. So it makes sense for the country to keep it in its inventory, rather than to downblend it now. There are no substitutes for uranium in nuclear plants, so to continue operating, it's really important to have a supply of uranium. This isn't to say the U.S. will be left with nothing. Last year, USEC (USU:NYSE) and TENEX, a state-owned Russian company, signed a deal that replaced the HEU agreement utilizing separative work units (SWU) instead of low-enriched uranium. The "Transitional Supply Contract" allows USEC to purchase SWU through 2022. SWU is a unit of work required to enrich uranium to a level that can be used by reactors. While the SWU agreement is not an apples-to-apples exchange relative to the expiring HEU agreement, it does allow the U.S. to maintain access to fuel for its reactors, which was the point of the HEU agreement. Japan and its newly elected leadership is another possible catalyst. The country's recent election marked a return of the old leadership that was instrumental in the development of its existing nuclear program. It will likely turn more plants back on than the previous government was willing to. The prime minister has gone on record saying that it didn't make economic sense for the country to keep those plants closed. Sometime in the middle of this year, Japan will probably announce between 10 and 15 reactor restarts, which would certainly be a positive catalyst. And, of course, China will continue its major building program, which will be a continuous source of positive news. It seems like every month it's putting a new reactor into operation. TER: So, possible midyear news from Japan might cause a good bump, in addition to gradual price increases from other global demand. Will that be enough to move past that $40/lb price level? RC: If anything, we see the $40 spot price as the marginal cost point and effective bottom. I fully expect to see a gradual increase, with perhaps some intermittent, news-related jumps. Instead of the classic $0.25–0.75 move, jumps as much as a few dollars may take place every so often. Uranium has been priced for the worst possible news lately, and some good, strong, positive catalysts could make it move higher in greater increments. Long-term, uranium really needs to be around $70/lb, at minimum, to spur new mine development and ensure an adequate new supply to match demand. 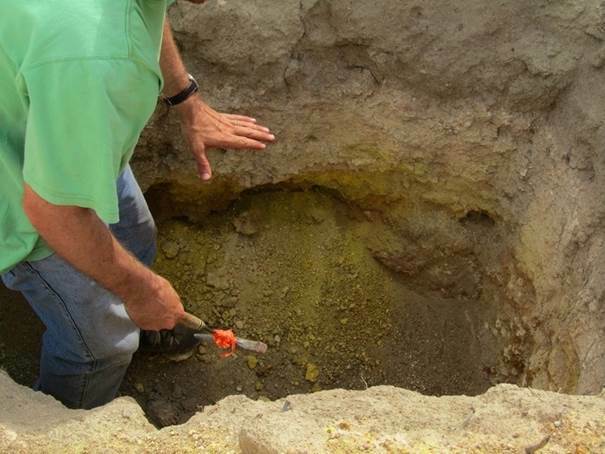 These deposits are getting deeper and harder to mine and were not easy to find to begin with. TER: What have been the most significant developments in the uranium business since last spring? RC: In the producer and developer space, many major companies have announced either a delay or an outright cancellation of new mines or mine expansion. Other delays, production slowdowns or cancellations are likely to come down the pipeline due to cost escalations. There are only a few spots showing significant new supply. Kazakhstan just announced that it has increased production up to 20.9 thousand tons in 2012, and it's reasonable to expect that it can maintain that progress going forward. Cameco Corp. (CCO:TSX; CCJ:NYSE) is expanding production at its McArthur River mine, and Cigar Lake will likely come onstream this year. Uranerz Energy Corp.'s (URZ:TSX; URZ:NYSE.MKT) Nichols Ranch project is under construction and scheduled for completion this year and Ur-Energy Inc. (URE:TSX; URG:NYSE.MKT) has its Lost Creek project coming on-line this year. Other than these, we'd be hard-pressed to find another project that's actually coming on-line this year or in the foreseeable future without higher uranium prices. TER: There's been some recent merger and acquisition (M&A) action, such as Denison Mines Corp.'s (DML:TSX; DNN:NYSE.MKT) recent announcement. Any thoughts on that deal? RC: There have now been nine transactions in the uranium space in the two years since Fukushima versus seven in the four years preceding it, even though the latter was a hot uranium market. The most recent deal was the Russians putting out a bid to acquire Uranium One Inc. (UUU:TSX). Just days later, the Denison offer came for Fission Energy Corp. (FIS:TSX.V; FSSIF:OTCQX). We've been forecasting that one for quite a while and are happy to see it finally crystallize. It's a great transaction for both parties, as both stock prices went up, which is pretty rare in an M&A transaction. It appears that Denison has set itself up to be a one-bite acquisition target for anyone looking to increase or consolidate a position in the Athabasca Basin. The two most likely candidates for that are Cameco, a dominant player in the region, and Rio Tinto Plc (RIO:NYSE; RIO:ASX; RIO:LSE; RTPPF:OTCPK), which owns the deposit that's adjacent to what Fission owned. So it looks like Denison set itself up perfectly for a potential bidding war in the future. We strongly believe that Uranerz Energy is a potential acquisition target for Cameco. Uranerz will start production in H1/13. We're forecasting around 400 thousand pounds to start, but within the next two years, it could go up past 1 Mlb/year. Currently, Uranerz is trading at about a ~$100 million market cap. It's a very reasonable bite size for Cameco, which could just eat that up and add another 1 Mlb of production for little effort, given the synergies already in place between the two companies, as Uranerz plans to process its material at one of Cameco's facilities in the Powder River Basin. We would say that Denison and Uranerz would probably be the next two most likely candidates for acquisition. In my opinion, management matters, and Uranerz is operated by one of the best teams I've seen. Chief Executive Glenn Catchpole is a very seasoned veteran, and he's put some of the world's largest in situ recovery mines into production. I certainly like Uranerz, and it seems like things are going well there. TER: Germany says it's going to eliminate nuclear power use by 2022, yet other countries in Europe are proceeding with their developments. 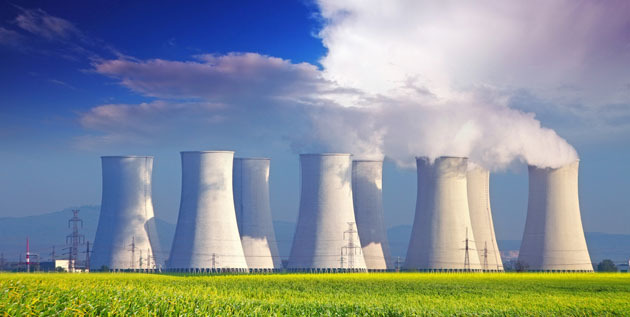 How will that affect European uranium and energy markets? RC: Germany seems like it is continuing along that path. Whether it sticks with it long term remains to be seen. It is importing power from nuclear sources outside the country. That's an expensive proposition. But I'm impressed with the country's tenacity in doing so. TER: You discussed a number of companies last May. Could you give us an update on some of those names? RC: Of all the exploration companies we're watching, especially with Fission being acquired, Kivalliq Energy Corp. (KIV:TSX.V) is the one that's rocketing up our list of the most intriguing. Its Angilak property has the highest-grade resource outside the Athabasca Basin at 0.69% U3O8 and management has been very successful in increasing those resources. Over the last three years, it increased resources to 43.3 Mlb uranium. For most uranium companies anywhere in the world, 43.3 Mlb would be pretty significant. However, the Nunavut location comes with significant potential infrastructure build costs down the line, and it needs more than 43.3 Mlb to be viable. How much more, we're not sure, but the key point is that of all the exploration companies we've been looking at, this one probably has the highest likelihood of going over 100 Mlb, and possibly much more than that. The Angilak property is highly prospective, with dozens of potential targets and conductors. We've been to the property several times. It looks pretty solid. We're very excited to see more developments from Kivalliq. Energy Fuels Inc. (EFR:TSX) is another interesting one we've touched upon in the past. It's a U.S. producer that recently had to place certain projects on standby due to the low uranium price. The key thing to note is that many of its operations are effectively turnkey and can go into production in as little as three weeks from whenever management makes that decision. So when the uranium price gets to the point where it's economic, production could increase fairly quickly. 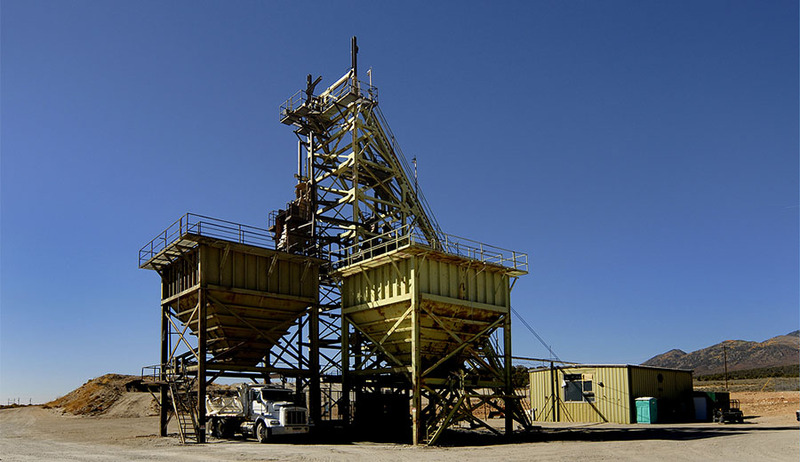 On top of that, Energy Fuels also owns a very significant strategic asset in the White Mesa mill, which is the only conventional uranium mill operating in the U.S. Additionally, smaller "mom-and-pop" uranium operations in the surrounding areas all need a mill to process their material, and Energy Fuels is the only game in town. That's a pretty powerful thing to have. TER: Laramide Resources Ltd. (LAM:TSX) recently issued a news release saying that it is going to have Energy Fuels do custom milling. RC: It's very positive for both companies and dovetails perfectly with what I just mentioned about Energy Fuels' mill. 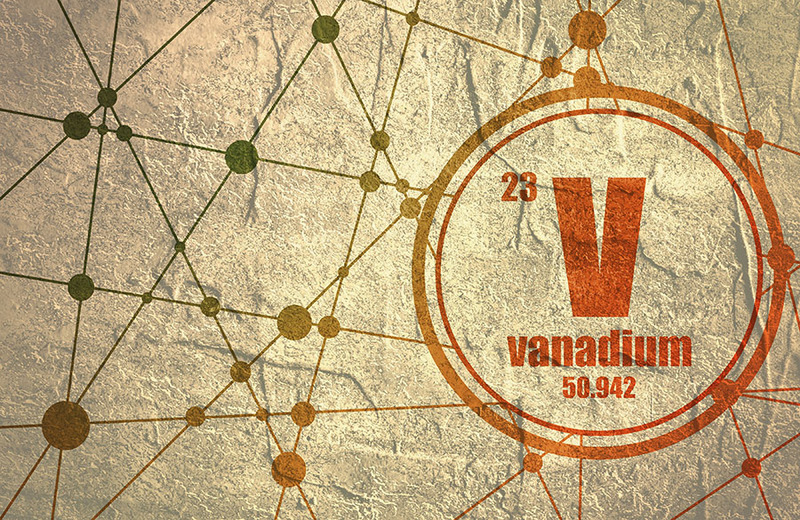 It's certainly a very positive move for both because it helps Laramide start production at its La Sal II uranium project and provides more revenue for Energy Fuels. The contract is initially for a bulk test of 20,000 tons, which could potentially grow to something bigger. Looking at the bigger picture, the U.S. consumes over 55 Mlb/year uranium in its nuclear program, but produces only ~4 Mlb/year. So there's a major supply deficit within the country, and the U.S. has been reliant on importing, primarily from Canada. I certainly think the U.S. would prefer to source more uranium domestically rather than rely on outside sources. So companies such as Energy Fuels and Laramide would stand to really gain from that perspective. TER: What about some of the other companies we talked about in May? Any developments there? RC: European Uranium Resources Ltd. (EUU:TSX.V; TGP:FSE; EUUNF:OTCQX) seems to be turning a corner. 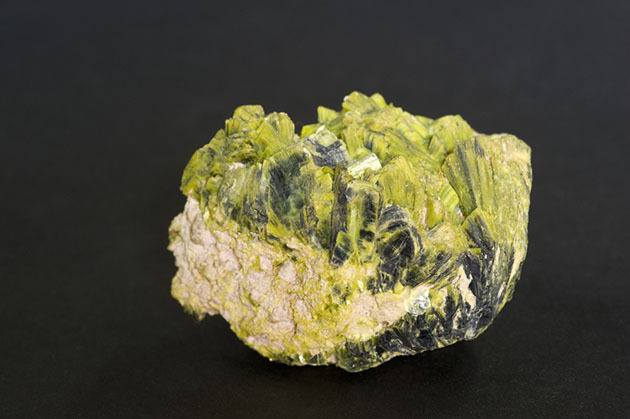 There has been a soft moratorium of sorts on uranium in Slovakia, and European Uranium has been held at a discount primarily because of that. But the company recently announced a Memorandum of Understanding with the Ministry of Economy of the Slovak Republic, which is supporting the development of European Uranium's Kuriskova deposit. I certainly believe this is a positive move for the company. It has one of the highest-grade deposits outside the Athabasca, and I like high-grade stories. I'm looking forward to seeing some positive developments from European Uranium based on this state support. TER: How has that one performed since we last talked? RC: It has actually ramped up pretty decently since November when it was in the $0.20 range. Now, it's trading in the $0.37–0.40 range. So it has doubled since then. The uranium market, in general, has performed better than it has in recent years, but I think European Uranium has outperformed the group. TER: Are there any other ones that look interesting at this point? RC: U3O8 Corp. (UWE:TSX; OTCQX:UWEFF) continues to progress in South America with its three different assets. 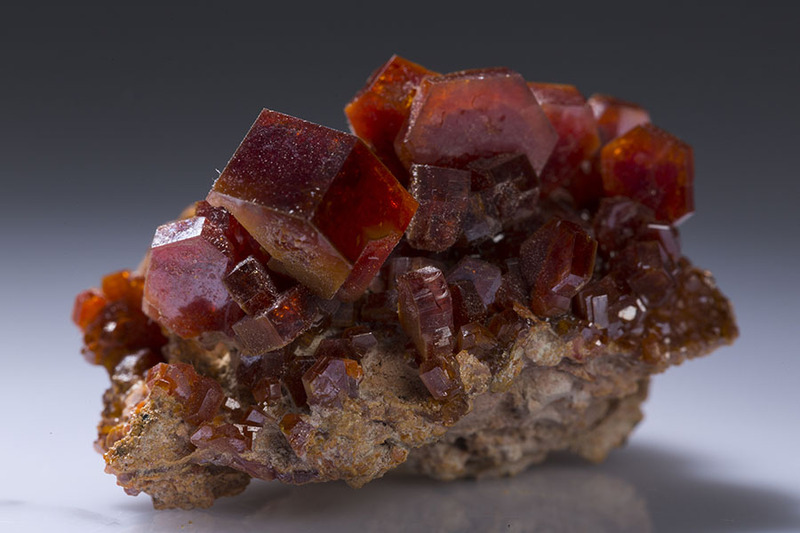 Its flagship Berlin project in Colombia is a multi-commodity one with not just uranium, but also phosphate, rhenium, molybdenum and a few other metals as well. It seems to be progressing well on its metallurgical testing, which shows that the company will be able to economically extract all or most of the materials from that deposit. It also has an interesting asset in Argentina, which is an at-surface project with very low mining costs. It could basically just be scooped with a shovel, filtered through a sieve and then processed. It seems like a viable project, very similar to some profitable low-grade, earth-moving operations in Africa. The company also has an interesting Guyana project, but that will probably require a little more size to be economic. RC: I forgot to mention Paladin Energy Ltd. (PDN:TSX; PDN:ASX). It's that age-old story that Cameco may acquire Paladin for its production. Paladin recently announced that it beat the Street's estimates on production, so it looks like it may be fixing the operational issues that it's been known for. If that's the case, that really does make a Cameco acquisition all the more likely. So stay tuned to that. Strateco Resources Inc. (RSC:TSX) has the Matoush project, which has the second-highest grades outside the Athabasca Basin. Its team is one of only four in Canada that's licensed by the Canadian Nuclear Safety Commission to do underground work, which is very important given that it takes quite a while for a team to actually secure this valuable license. It has one of the more solid uranium projects out there and is currently awaiting final approval for underground exploration. Another one that's worth looking at is Virginia Energy Resources Inc. (VUI:TSX.V; VEGYF:OTCQX) It has probably one of the best uranium projects in the U.S. It's high grade and very large. Although the state of Virginia has a uranium moratorium, it looks like the company is getting very close to pushing through some legislative changes there. If it is successful, that opens up a very solid, high-potential uranium project that would be very beneficial for the U.S., given the security-of-supply concerns. TER: Could you summarize your uranium outlook for this year and your investment advice in this sector? RC: We believe that 2013 is a catalyst year for the uranium market. This is the turning point, in our opinion, and we're seeing a lot more interest from our clients who are seeing the same thing. The activity has certainly picked up. Our supply and demand forecast shows we are in a period of supply deficit now, through to 2025. On average, it takes 710 years for a uranium mine to be discovered and then put into production. Prices have to rise to support new mine developments, exploration and production. We believe that the uranium price needs to be somewhere in the $70 range, and that's actually a low estimate relative to others on the Street who are seeing something like $75–85. We believe that uranium is the place to be and will be starting to move this year. For investors looking to play the large caps, there's only one company (if Uranium One does disappear after the Russian buyout) that is uranium focused and trades above $1 billion, and that's Cameco. When you look at it from the number of publicly traded producers that are uranium-focused in the world, there are only four to five. That's a limited number. After that, you're looking at developers and explorers. We believe this is a very good place to be for investors right now. The key thing to remember is demand. Once it's there, it stays because there is no substitute for uranium in a nuclear reactor. Once you build one, it needs uranium. Otherwise, it's useless. And that's a lot of money to commit to something that ends up being useless. TER: We appreciate your time and input today, Rob. It looks like lots of exciting things are going on in the industry. RC: I agree, and thanks for having me. 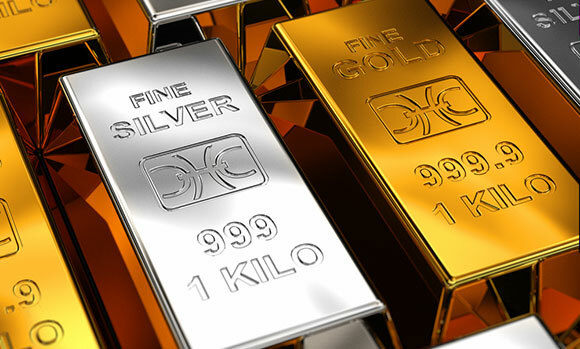 Cantor Fitzgerald Canada Metals and Mining Analyst Rob Chang has covered the metals and mining space for over eight years for the sell side and the buy side. Prior to Cantor, Chang served on the equity research teams at Versant Partners, Octagon Capital and BMO Capital Markets. His buy-side experience includes managing $3 billion in assets as a director of research/portfolio manager at Middlefield Capital, where his primary resource portfolio outperformed its direct peer and benchmark by over 28% and 18%, respectively. He was also on a five-person multi-strategy hedge fund team, where he specialized in equity and derivative investments. 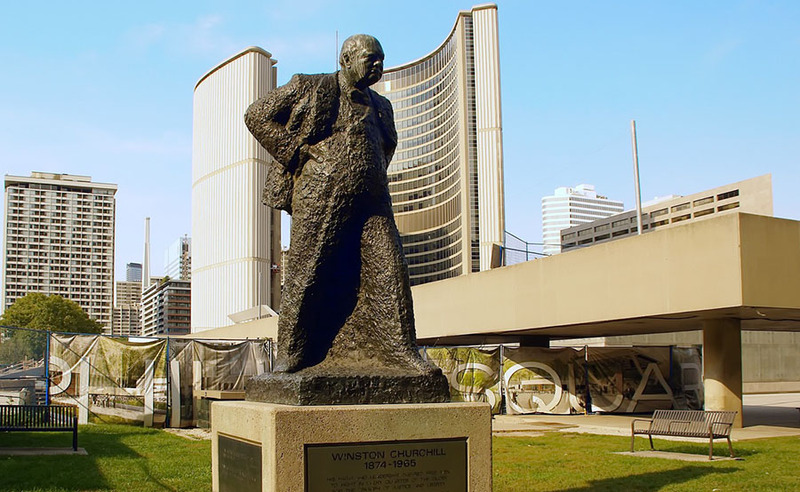 He completed his Master of Business Administration from the University of Toronto's Rotman School of Management. Want to read more Energy Report interviews like this? Sign up for our free e-newsletter, and you'll learn when new articles have been published. To see a list of recent interviews with industry analysts and commentators, visit our Exclusive Interviews page. 2) The following companies mentioned in the interview are sponsors of The Energy Report: Uranerz Energy Corp., Ur-Energy Inc., Fission Energy Corp., Energy Fuels Inc., Laramide Resources Ltd., European Uranium Resources Ltd., U3O8 Corp. and Virginia Energy Resources Inc. Interviews are edited for clarity. 3) Rob Chang: I personally and/or my family own shares of the following companies mentioned in this interview: Fission Energy Corp. and Energy Fuels Inc. I personally and/or my family am paid by the following companies mentioned in this interview: None. I was not paid by Streetwise Reports for participating in this interview.